Home » Yoga Thoughts » Optimists Actually Practice Optimism. It’s amazing how often I walk away from class smiling and heartened to have witnessed yet another person’s firm belief in growth and change. There is something endearing and magnetic about all optimists, not just the yoga kind. Their ability to find the positive, the possibility and the hope in any situation – even when they discover that they are wildly off-track – is inspiring. Their steadfast belief that even the bumpiest of roads is a way to get where they’re going can be contagious. It’s just icing on the cake that optimists are also often ready to smile or share a laugh. Simply put, whether they are students, teachers, teammates, colleagues, neighbors or friends, optimists make great company. In addition to making you a highly desirable pal, optimism is really good for your health and well-being. According to Julia Hogan, LCPC, in her article in Verily Magazine (https://verilymag.com/2017/04/benefits-of-being-optimistici-in-life ), optimists are physically healthier and live longer. They are less stressed than other people. A positive outlook is good for us – body, mind and spirit. It can also be good for our careers. Hogan also states that optimists make better leaders, in part because of their ability to find opportunities in even the most challenging times. Optimists often get a bad rap for being unrealistic or “Pollyanna-ish.” And while some optimists do indeed have their heads planted firmly in the proverbial sand, most do not. It might surprise you that the most effective optimists do still worry. In fact, it could be said that it is a lack of healthy worry sets an optimist apart from a “Pollyanna.” The worry of an optimist is different than the anxious fretting of a worrier. It is productive. Rather than stewing endlessly (and fruitlessly) over a problem, optimists use worry to motivate themselves. When optimists worry, they are often taking active steps to get themselves better prepared. The hallmark of an optimist is the ability to look at any situation and see the good. This is more than just a gift. It is a skill that any of us can choose to develop in ourselves. In other words, optimism is something we can practice. A regular yoga practice is a powerful way to practice optimism. The simple of act of showing up day after day to see how you’ve changed is filled with hope. The belief that a stiff day could possibly be followed by a loose one can seem almost bizarrely upbeat to the casual observer. The trust you develop in the practice as a whole enables you to navigate “bad” days as gracefully as “good” ones. 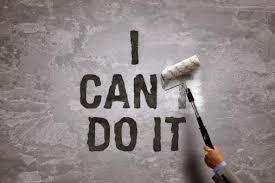 Nearly every time you step on your mat to practice you gain some new “I can!” that bolsters optimism. These new feats might be physical, emotional or mental. You might observe that your hamstrings are gradually opening up, or that, slowly but surely, you’re getting stronger. You might notice that you are feeling a little less fearful and a little more confident. Or you might become aware that you’re developing the ability to choose your focus rather than being at the mercy of a wildly wandering mind. A yoga practice gives you the opportunity to witness your own growth. To observe the forward and backward nature of progress. To notice your innate ability to rebound and recover. The more you witness these qualities, the more you develop your “optimism muscle,” as it were. It doesn’t take much practice at all before you start to realize that the optimism you feel in your practice has seeped off your mats and into your life. Take it from me, it won’t be long at all before you start to hope that you might possibly be becoming one of those endearing, magnetic, hopeful and inspiring optimistic people you love to be around.